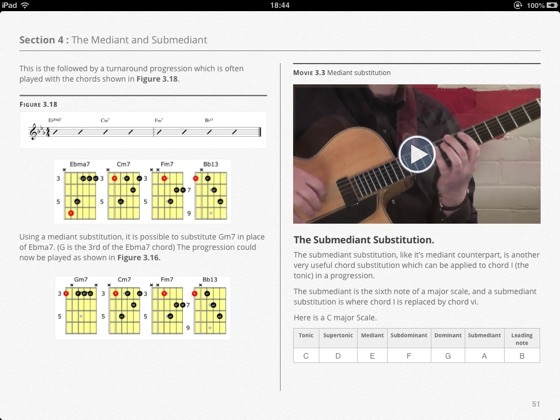 Welcome to GuitarBytes' guitarist guides to Chords, Chord Substitution and Chord Melody. 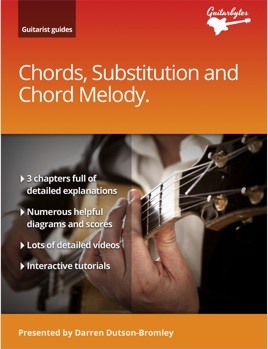 In this book you'll learn about chord construction and voicing chords, creating chord melody arrangements and chord substitution. 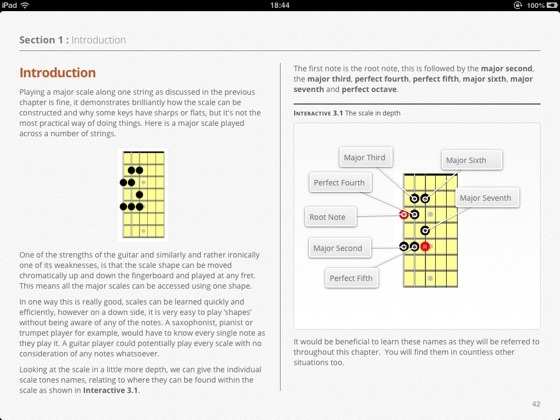 This beautifully crafted and interactive book has in-depth explanations, tables, interactive diagrams, video tutorials, scores and backing tracks that you can play along with over three chapters. 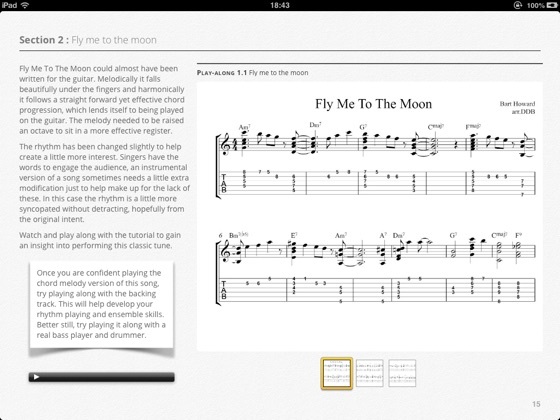 The first chapter begins with finding the most effective pitch for the melody before looking at an example arrangement of Fly Me To The Moon. This is discussed in detail in the video tutorial and is fully notated and has a backing track to play along to. 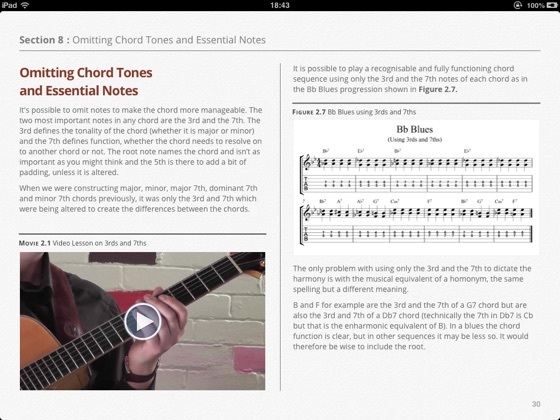 In the second chapter a method of working out chord tones and voicings is discussed. 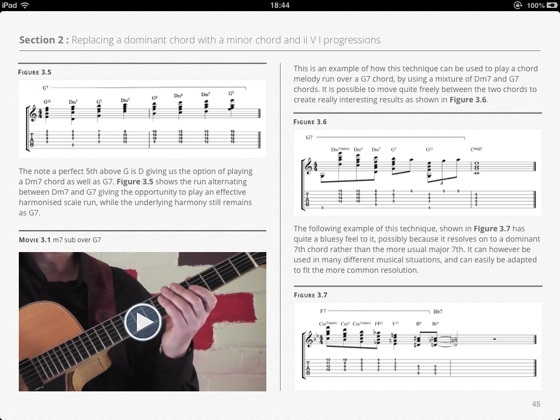 There are lots of practical examples with references to familiar tunes, various interactive features finishing with an arrangement of On a Clear Day, demonstrating many of the techniques discussed throughout the chapter. In the third chapter all the main substitutions are discussed in detail with video examples demonstrating how to use the substitutions effectively. A number of familiar tunes are used as examples to apply the substitutions. The chapter closes with two versions of These Foolish Things. The first harmonised with the original chords whilst the second uses many of the substitutions discussed throughout the chapter.